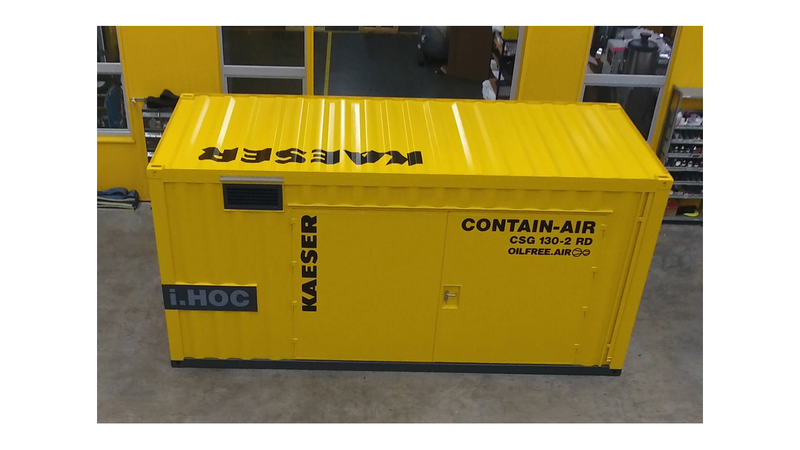 Imagine a complete compressed air station housed in a standard shipping container: a quiet, efficient and compact mobile unit ready to reliably supply oil-free compressed air anywhere. Contain-Air solutions from Kaeser are the answer. 1. The innovative i.HOC drying technology completely prevents condensate formation - either in liquid or ice form, in the winter - in the compressed air line downstream from the container. Unlike other systems on the market, this makes an additional dryer module superfluous. 2. Since oil-free compression in combination with i.HOC drying achieves pressure dew points to -30°C, the compressed air can also be used for sensitive production processes. The easy-to-operate Quick Connect connector panel for pipes and cables enables trouble-free setup at virtually any location and assures rapid Contain-Air system availability in the event of an operational emergency. Even dense urban environments or adjacent office or residential areas pose no obstacle thanks to the clever silencing system. Equipped with insulation and even its own heating system, Kaeser Contain-Air solutions operate reliably in virtually any environment, no matter what the temperature or weather conditions.